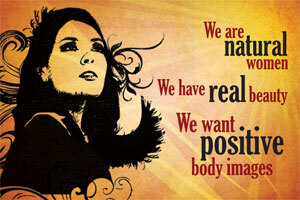 Body Image is a top concern for young women today. We want the Australian Government to take action and we need YOU. Send the Hon Peter Garrett MP, Minister of Youth a message. Let him know that media, fashion and advertising industries must do more to promote positive Body Image. Enter your details in the postcard below and the postcard will be sent straight to Minister Garrett. The more postcards we send, the more attention we’ll get. Body Image matters for young women. Yet media, fashion and advertising industries continue to promote unrealistic and unhealthy images of women. This goes against the Voluntary Industry Code of Conduct for Body Image. To celebrate 100 years of International Women’s Day in 2011, I’m asking you as Minister for Youth to put the Code of Conduct into force. In the next 12 months, let’s secure 100 media, fashion and advertising agencies as compliant with the Code of Conduct. Let’s publicly promote these 100 agencies and let’s give young women a chance to see images of natural women with real beauty. or post it to his address below.